Noni juice is the juice extracted from the fruit of a plant known as the Morinda citrifolia. This plant is usually found in tropical locations and has been the native food for people for ages. 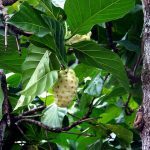 In many cultures the noni fruit or the plant is used in many medicinal practices. 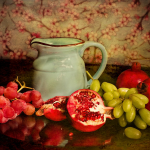 The noni juice is rich in dietary fibers and carbohydrates. Apart from these two ingredients the juice also contains antioxidants like quercetin, pinoresinol, vanillin, proxeronine, isoscopoletin and scopoletin etc. as well as antibacterial enzymes. The juice is widely used to cure many ailments. Noni juice is also helpful in cleaning the toxins out of the body. It finds a big use in boosting the fat burning process of the body. The juice is low in fat and high in vitamins, such as vitamin B1, B2, B3, B5, B6, B12, Vitamin C, vitamin E and beta-carotene. The other minerals that are present in the fruit include potassium, calcium, magnesium, phosphorus and iron. Noni juice is an excellent antioxidant that helps neutralize free oxygen radicals in the body, reducing their negative effects. 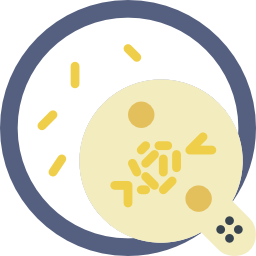 The oxidative stress caused in the body makes a person very susceptible to many diseases. Consuming noni juice regularly makes the body combat any such problems caused by oxidative stress. Noni juice has anti-aging properties. It has been shown to have regenerative properties. Many beauty companies use noni juice as an ingredient in their products. Noni juice is either drank or directly applied on the skin for the best benefits. The juice also works as a cleanser and helps the skin get rid of the toxins in it. Noni juice has some antibacterial properties. If the juice is taken regularly, it helps cure stomach ailments that are usually caused by the bacteria in the abdominal cavity of a person. The consumption of noni juice has been proven to relieve the spasm of the muscles by creating a relaxing effect. Noni juice adds to the blockade of calcium channels that are voltage dependent and help in the secretion of intracellular calcium in the body. This property of noni juice has been used ever since ancient times to relieve the pain caused by many types of muscle spasm and wounds. Another benefit of the noni juice is its anti-inflammatory property. 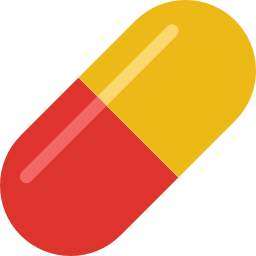 It works as an analgesic and helps relieve pain. Drinking noni juice during the menstrual cycle has greatly helped in relieving the pain cramps. Noni juice is also very effective in relieving joint pains caused by arthritis and other bone related problems. The biggest use noni juice is in Ayurveda medicine. Noni juice has been proven to cure or suppress many ailments. Arthritis patients are advised to take noni juice along with their medicines to get rid of joint pains. Noni juice is also very useful in regulating the menstrual cycle and treating the irregularity of periods in women. Noni juice is also administered to diabetic patients since it helps in controlling sugar levels in the blood. Noni juice also helps relieve after-stroke symptoms since it helps in making the veins elastic for a better blood flow. This better blood flow also helps a person feel more attentive and energized. The biggest use of noni juice is in suppressing the production of the cancer-causing cells. Noni juice has been proven to be very effective in treating some types of cancers. Another frequent use of noni juice is in cosmetics. Noni has anti-aging properties so the people who drink it regularly have healthier and more youthful skin. It also prevents various skin conditions like pimples, spots, wrinkles, acne, and much more. During cases of sunburn, applying noni juice on the face helps relieve inflammation and speeds up the healing process. 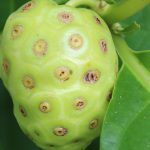 Hence, noni has become one of the main ingredients in the cosmetic products and ointments. The use of noni juice in weight loss is its most famous use. Noni juice aids in the utilization of fat in the cells and helps break down cholesterol in the body. This leads to the decrease in fat and aids weight loss. 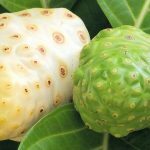 Although these side effects only happen if the person takes an excessive amount of noni juice and are uncommon, it is important to know about them before consuming the juice. We are always open to positive criticism and if you feel that we have missed anything in our description of the products or we have given wrong information, kindly write to us at our official email address, so that we can correct our mistakes. 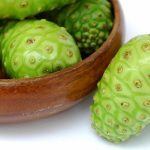 Take Noni Juice for over 1 year now and works fine for me. Lost 24 pounds in the first 8 month. It takes about 1 month before I felt any changes. Like this company here due to the price and the free delivery. We would like to send to you a lot of thanks from our patients who tested your new product Noni.Some of our women patients mentioned that after the regular use of Noni they have no problem with menstrual pain and vegetative highly emotional disorder. I have received my order. 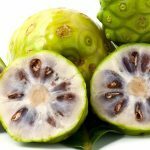 Thank you.On recommendation from a friend in Croatia, EUROPE I have commenced using NONI to hopefully help me with my cancer. My friend went into remission and is still in remission many years later with the use of NONI. Her doctors are baffled. What’s So Special About Noni Fruit? The fruit yield of the noni fruit is huge. When they reach an age of five, they produce fruit up to 20 pounds per month per tree. Noni Juice © 2017. All Rights Reserved.